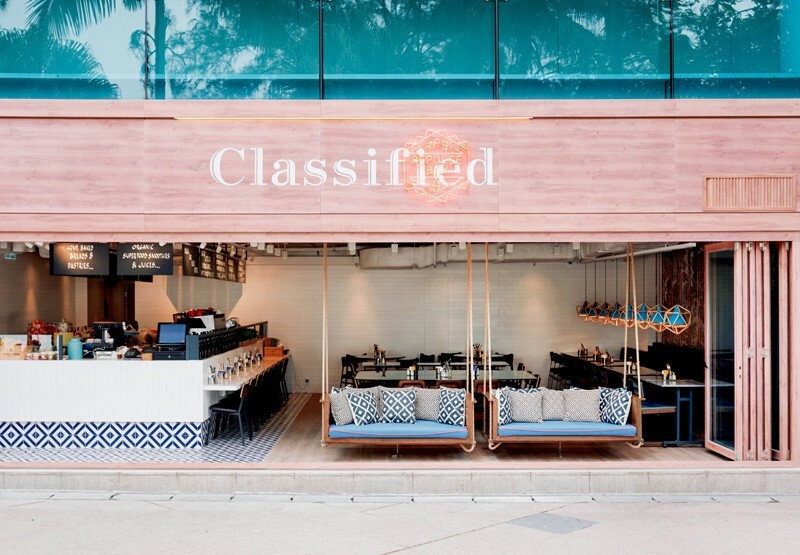 Visitors to the newly-opened Classified at The Pulse, Repulse Bay will notice a marked difference from its other locations. 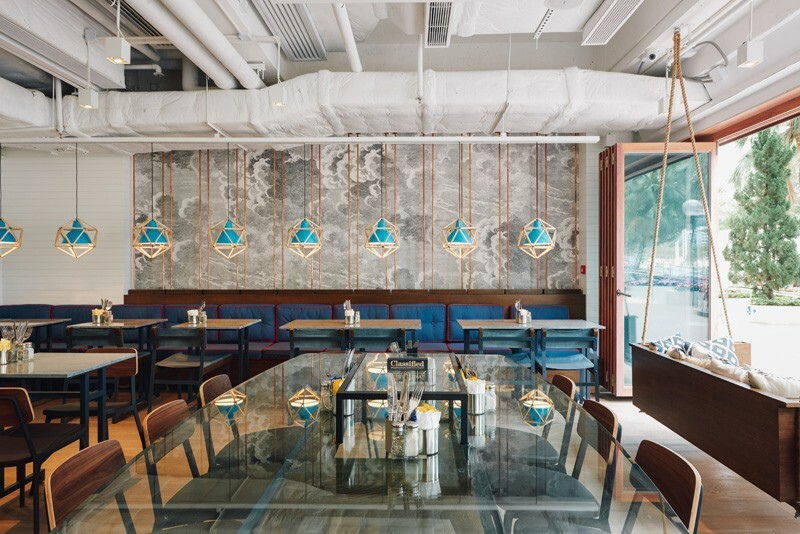 Classified Repulse Bay represents a change in direction for the homegrown brand, with new interiors, an extended menu and a revamped identity. 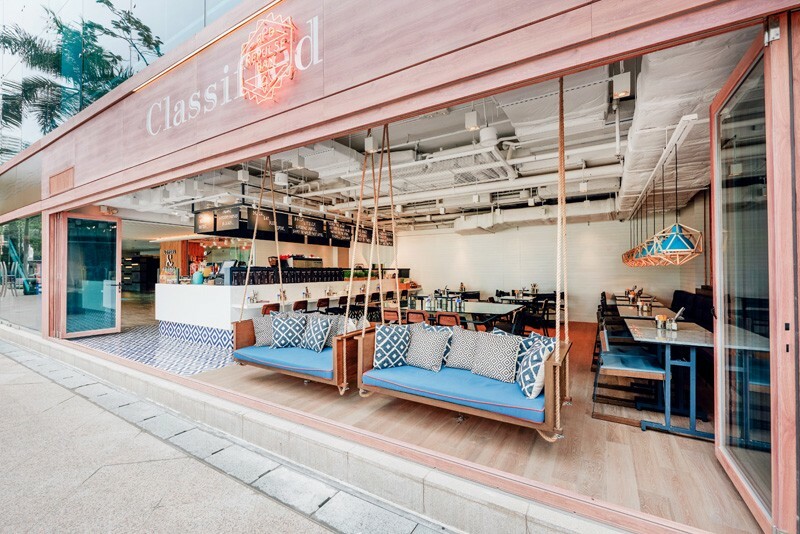 Classified’s first outlet, which opened its doors on Hollywood Road in 2006, introduced European-style al fresco dining to Hong Kong. 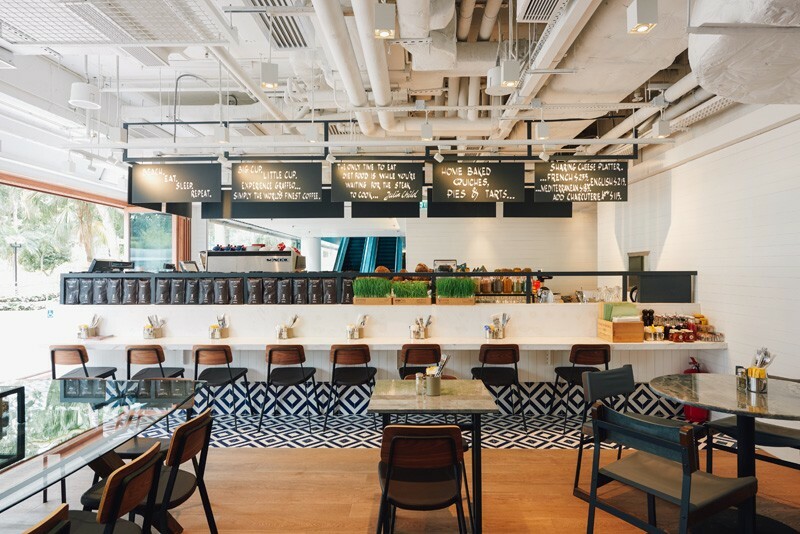 Offering premium artisan cheeses, gourmet coffees and boutique wines, the casual café concept expanded to nine Hong Kong neighbourhoods, including Wan Chai, Tai Hang, Stanley and Happy Valley. As part of an extensive refurbishment plan, each outlet will be refreshed to reflect the unique themes and characteristics of its local community. 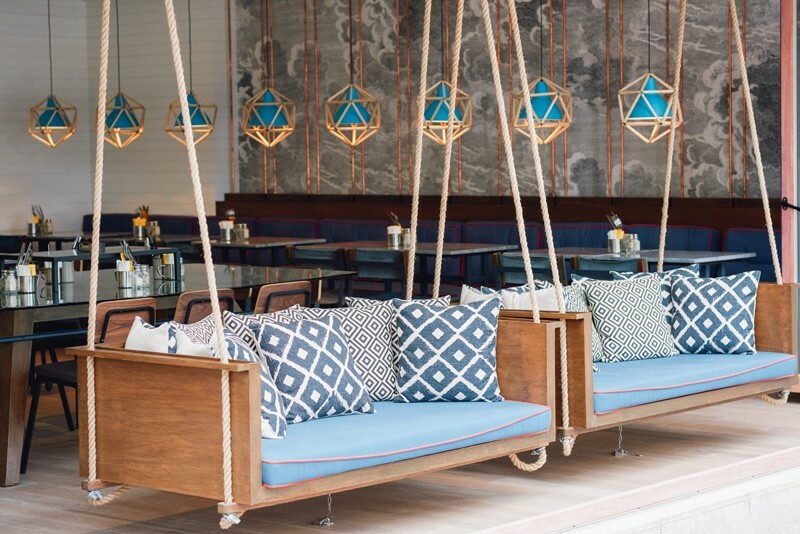 The new Classified in Repulse Bay, for example, incorporates elements of its seaside setting with an aqua blue palette and pillow-strewn swinging sofas for guests to enjoy the ocean views. While its contemporary furnishings convey a sleek modern aesthetic, the unique accessories, motifs and decorative pieces signify the location. Over the coming months, other Classified outlets will undergo redesigns that celebrate the uniqueness of their neighbourhoods. 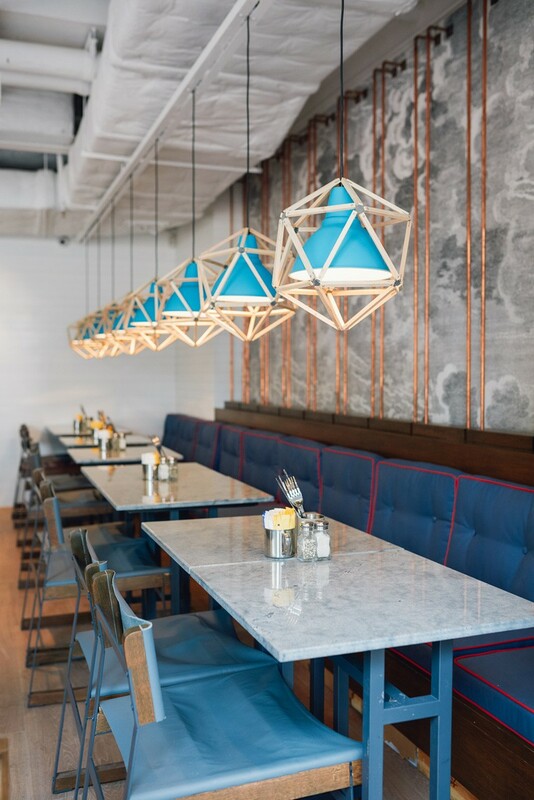 Embracing this role, Julien Morin, Classified’s in-house cheese connoisseur, will host a series of classes and workshops at various locations to engage the local foodie community. Plans are also in place to distribute a Classified-branded quarterly newspaper with the intention of connecting the community by profiling local identities and chronicling unique neighbourhood stories. Since Classified has always been known as the home of premium cheeses, cheese lovers can indulge their cravings with a selection of French, English and Mediterranean cheese platters. The new outlet will also offer a delicious range of breads, quiches, pastries and cakes, freshly baked on site daily.